Don't Miss: Caul Fat—Is It Better than Bacon? These savory and rich ground-up pork rinds have absolutely revolutionized the concept of breadcrumbs. The only added seasoning is salt—the rest is up to you. As for the nutritional value, you're looking at 70 calories and 4.5 grams of fat for a ½ ounce serving size. So while this might be a bit of a splurge for the health conscious, it's completely worth it for special occasions (or just because.). Sold on the original Bacon's Heir site or Amazon, a 3 oz. bag will run you between $3–4 while a one-pound bag comes in at $20. While the product itself is not very "dusty" (I had to run it through a food processor to produce a finer texture) it will give your dish a major twist without much effort on your part. 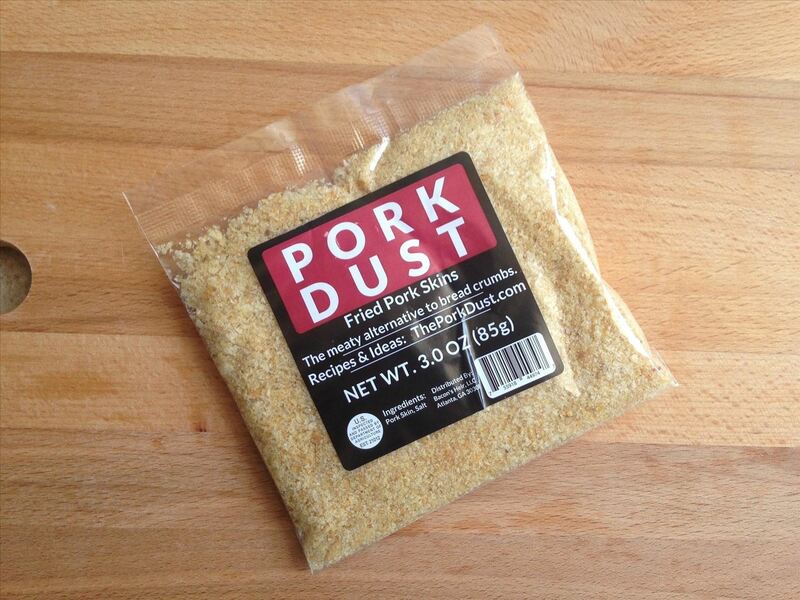 You can use Pork Dust in any recipe that calls for breadcrumbs, but here are a few that stand out against the rest. 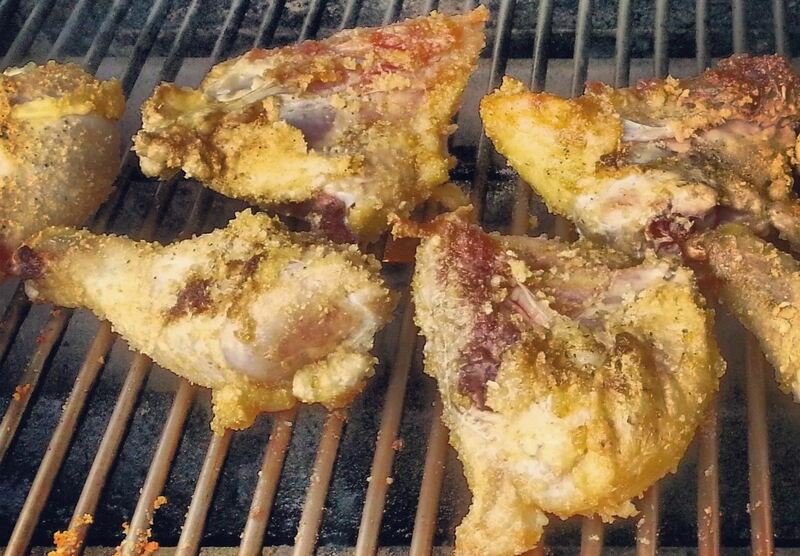 Roll chicken legs and/or thighs in Pork Dust and bake on a rack over a sheet pan or throw it on a grill. Bonus: no eggs or flour are needed. You get fried chicken without having to fry! Toast the Pork Dust in a small pot and stir until crispy. 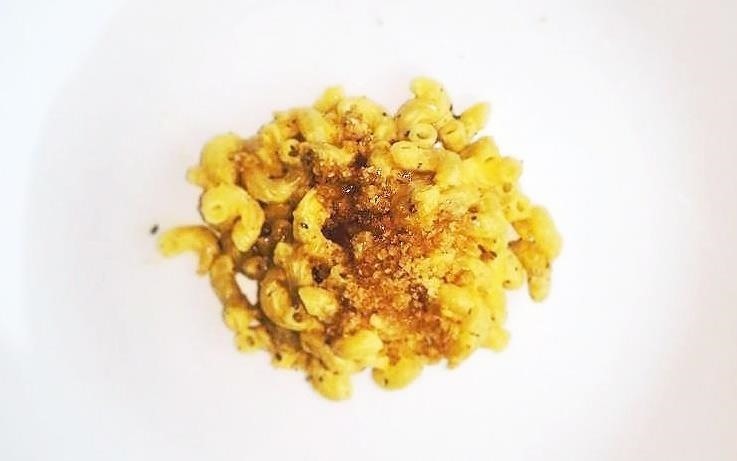 Add it to your favorite mac and cheese and get ready for an extra special crunch and flavor you just wouldn't get with plain old breadcrumbs. You can use almost any type of fish here—salmon, tilapia, shrimp, mahi mahi—even crab cakes. 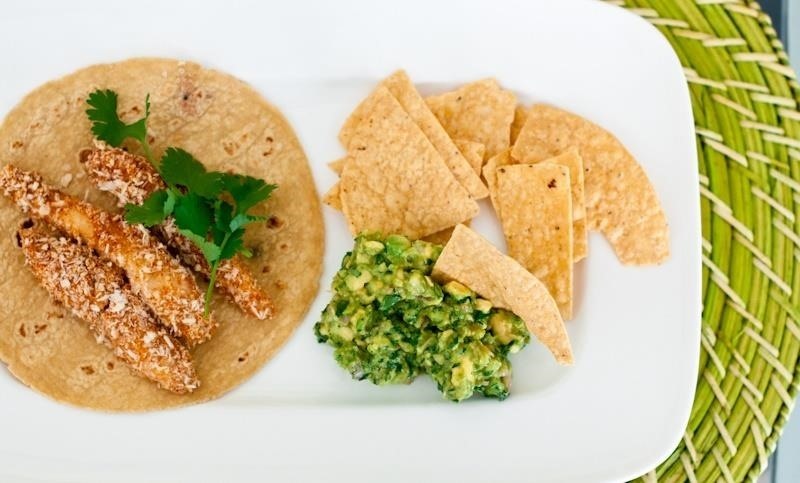 Panko or cornmeal are just fine, but if you're looking to try something a little different, get yourself a small pack of Pork Dust. Coat the fish with it and bake until golden brown. In the end, add a squeeze of lemon and you're done. Want more ways to use this magical dust? There are plenty of pages dedicated to Pork Dust recipes via Facebook, Pinterest, or simply Google those two magical words. Food-savvy people may recognize this as a sham. Cheaper to buy some pork rinds and crush or grind them yourself for the exact same effect. I'm sure it's delicious and the idea is genius but the packaging of squashed pork rinds for $3-$4 a bag is pretty greedy. Next: Doritos-dust! $5 a bag! Of course Madison - you can definitely do this yourself at home! I have done so in the past and as a food-savvy person myself, I wanted to give these a shot - and I must admit I loved them. I think it also depends on your taste buds as not all pork rinds taste alike. Thanks for reading!